It was three o'clock on an early July afternoon. At a building in the specially-demarcated suburban development area in Tumen, a city of the Yanbian Korean Autonomous Prefecture in Jilin Province, a woman drags four bags full of unfinished clothes downstairs. A man guards the entrance while two others wait to take these bags to a garment processing factory in town. These are all Chinese staff, but on the second floor, more than 100 North Korean workers have been working since May. This clothing factory is fully enclosed with the gates locked from the inside. The guard, who began working for the factory 18 months ago, is on high alert. His job is to ensure that no strangers can enter the building from downstairs while some North Koreans keep a close watch upstairs. Chinese pop hits from a decade ago constantly drift from the upstairs factory windows. The guard takes a call from a Chinese foreman, telling him the North Korean workers would be working until 9 pm that day and he had to stay there until the same time. When the North Korean workers came to China, South Korean media reports were rife of stories concerning China issuing work visas for 20,000 North Koreans to work in its northeastern provinces such as Jilin and Liaoning. More particularly, these immigrants would work in the cities of Yanji, Tumen, Hunchun and Dandong on the North Korean border. Yanbian has China's largest ethnic Korean population. Among its 2.2 million populations, nearly 40 percent are ethnic Koreans. Due to their close relationship with North Korea and the region's proximity to the country, many North Koreans reside along the border in cities like Yanji and Dandong. Meanwhile, on top of those granted work visas, it was reported that over 10,000 illegal North Koreans had entered these areas due to their country's economic woes and natural disasters. Locals told the Global Times that large waves of illegal North Koreans began crossing the border in the 1990s. Of late, this flow has shrunk slightly due to North Korea guarding its borders more tightly and Chinese authorities cracking down on illegal immigrants. In recent years, besides some coming to visit relatives, which only account for a very small percentage of travelers, North Koreans legally entering China have been sent to work in North Korean restaurants, where young women wear traditional gowns, sing Chinese songs or play jazz. Most of them are university graduates who can speak Chinese well. Neither Beijing nor Pyongyang has publicly commented on this large deal to import labor from one to the other. However, this arrangement has gained attention from the West, where reports abound that China is helping the North's desperate economy. A businessman from Dandong, Liaoning Province, who has been trading with North Korea for many years, confirmed to the Global Times that a large contingent of North Korean workers arrived in the spring. In March, while completing a trade deal to import seafood from North Korea in the harbor of Donggang, a nearby town, he saw a group of over 100 North Koreans arrive. "There are many North Koreans who work in restaurants in Dandong and people are used to it," he said. "But seeing so many arrive at once is really rare." An official from Yanbian in Jilin, who works on the labor import agreements, revealed that more North Korean workers are expected to come to the specially-demarcated development area in Tumen. He stated that this was because of a labor shortage in the prefecture due to many of the local Korean minority having moved to South Korea for work. Due to the nature of North Korea, all its labor export to China is organized by the government. The factories they go to are carefully evaluated according to factors such as whether they pay employees on time or health and safety. During the workers' stay in China, they are carefully watched over and are not allowed to go out alone, according to local officials. The official said that this may stem from North Korea's worry that its people are "brain-washed." "In the 1990s, when China sent its workers to Saipan, there were worries that people would be 'Westernized.' North Korea has similar concerns today," he said. A Chinese young man working for a juicer company in the same building as the clothing factory in Tumen told the Global Times that people had no chance to interact with the North Korean workers. "There are coaches taking them to and from the dormitory building specially built for them, although it is only 500 meters away from the workshop," he said. The situation goes the same with a clothes processing factory in Dandong. Workers from North Korea are closely watched during their work and spare time. A Chinese employee of the factory in Dandong said that about 200 North Korean workers work 10 to 11 hours a day without overtime pay and no weekends. The salary was allegedly at around 2,000 yuan ($314) a month. 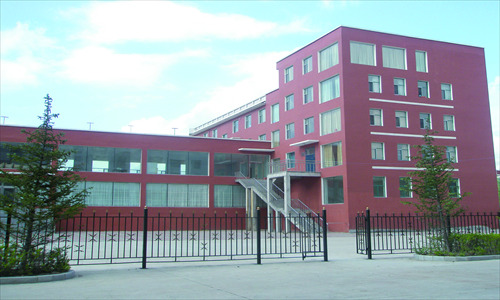 The factory provides food and accommodation, but no insurance. However, most of the workers' earnings will go directly to the North Korean government and the agent labor company, while the workers end up getting only a few hundred yuan, the anonymous employee told the Global Times, although this sum is still much more than they would earn back home. Lü Chao, director of the North and South Korea Research Center at the Liaoning Academy of Social Sciences, said the labor export will not only help lessen labor shortages in border areas, but also help North Korea gain hard currency. "It's better than China offering free assistance to North Korea and it paves the way for the two's long-term cooperation," Lü said. 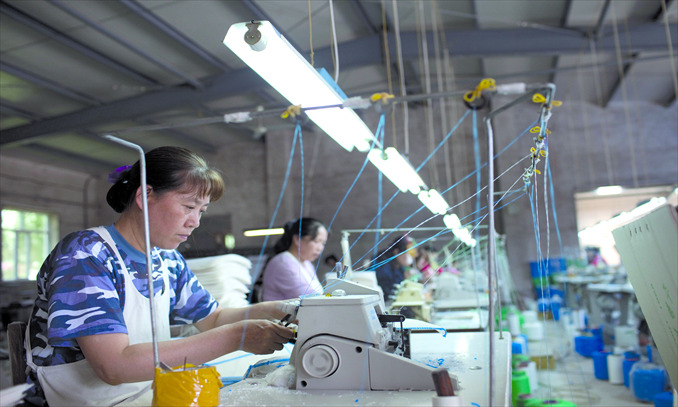 Besides the relatively low labor price compared with Chinese employees, what Chinese companies or factories favor is North Korean workers' blind obedience. In June, a tableware factory boss from Donggang who only give his surname Yu, submitted an application to the local labor bureau for North Korean workers. "They will stay three to five years once they come to China and will not leave even if they don't like the job here, while Chinese employees act rashly with no sense of dedication," Yu said. However, he added that the approval process usually takes a long time and that the current regulations seem stricter than before. The Yanbian official told the Global Times that local officials have to keep the labor import on the down low because of the sensitivity of the China-North Korea relationship. Meanwhile, as the labor import helps boost the local economy, local officials don't want such cooperation hindered by outside speculations. "In the past, this region developed by itself. Now, it has seen more and more cooperation with North Korea, which is a good chance for us to improve the region's basic infrastructure. However, we have to take into consideration that such cooperation may be smeared by some other countries, which would have no benefit for North Korea or the region," he said. Jin Qiangyi, director of the Institute of Northeast Asian Studies at Yanbian University, told the Global Times that he had never heard of such large scale labor export from North Korea to China. For North Korea, however, this is not unusual. The country sent many workers to Siberia, where they worked in logging and mining, to pay the debt it owed to the former Soviet Union during the Korean War (1950-53). Jin said North Korea's move to send large number of workers to China hints that the country has the intention of slowly opening up, as evidenced even before the death of former North Korean leader Kim Jong-il. For example, Jilin University has received some North Korean management officials for training. According to the latest news from South Korea, China has taken substantial steps to encourage North Korea to reform and open up, as North Korean delegations have come to China to learn from its experiences under the invitation of China's Ministry of Commerce. While both China and North Korea keep a low profile toward joint cooperation at this time, Jin warned that North Korea has put China into dire diplomatic straits several times. "I believe that US' attempts to encircle China have something to do with North Korea," Jin said. "When North Korea acts beyond its boundaries, the alliance between the US, Japan and South Korea is tightened, putting pressure on China's regional security."